The seat of the Vue Lite reverses direction in a simple one-hand motion so you can face your child toward you when they are little, then flip the seat forward so they can explore the world as they grow. Multiple recline positions in either direction to make sure that your child is comfortable no matter their view. The UV 50+ multi-position canopy reverses in one easy step to protect baby from the sun?s rays while facing you or facing the world. 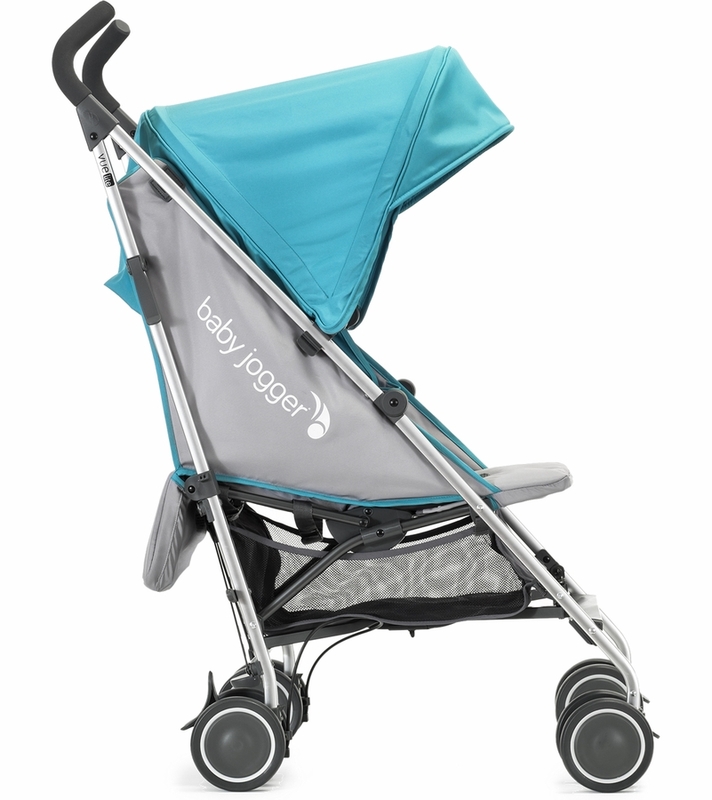 after three different strollers, we found this one to be the perfect overall. We love how it flips the seat to a forward or reverse facing with just a pull of a lever. It lies almost completely flat, which is also a bonus for a sleeping infant. And did I mention that the canopy is HUGE? Fold up easy and even has a nice little spot to put your purse when the seat is in forward facing position. Only one con and that is that is took us quite a bit of time to figure out how to fully use this. Not too much of an issue though, thanks to YouTube! There is no "perfect" stroller... just one that is "best" (checks most boxes) for each family/individual. we own a nice (Thule) jogging stroller which is a must due to moderately frequent fitness, and environment (rural gravel/dirt driveway). However for traveling, navigating cities, a long jogging stroller (even if not heavy) doesn't work well. Thus my search for a lightweight or umbrella stroller began. 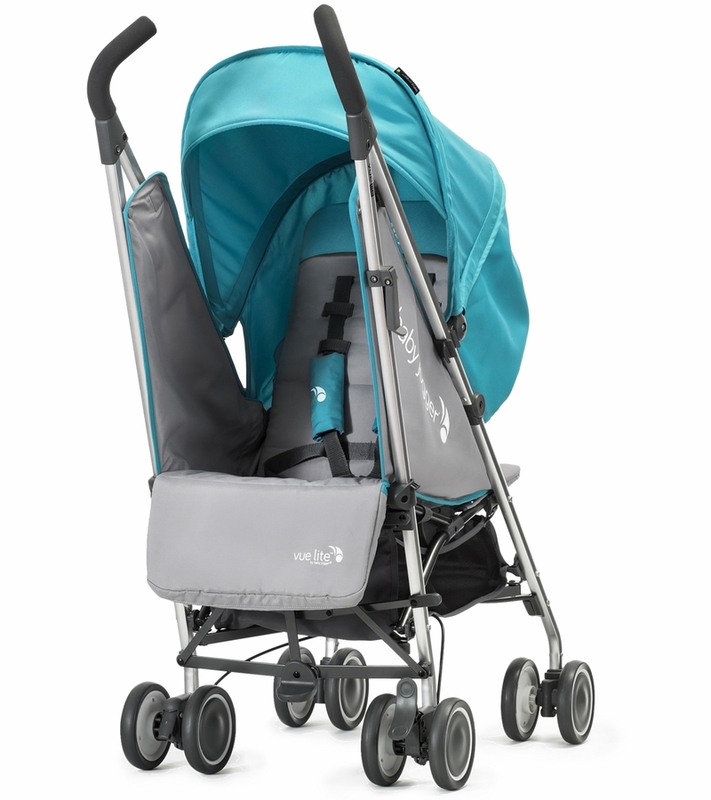 Our child was just over a year when we needed such an option and as much as I love the Thule Urban Glide ---it, and all other off-road/all-terrain jogging stroller options do NOT offer a rear-facing/parent-facing option (very disappointing!). Many friends have/love the City Select so I knew the Baby Jogger brand. 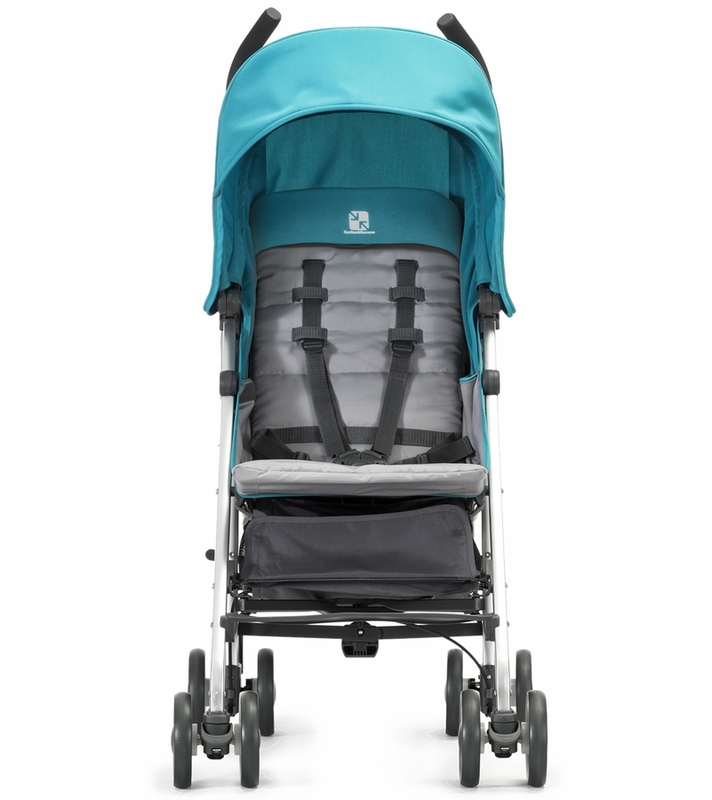 The Vue is one of very few (short of buying another full size stroller like Ergobaby 180 or 2018 (redesigned) Baby Jogger City Tour Lux) umbrella strollers offering a rear-facing/parent facing option. Basically it came down to this or Urbini Reversi (sold only online at Walmart) which I wasn't sure quality wise would hold up (and also wouldn't fold in rear/parent facing mode). Even with the known flaws (basket size & accessibility) and unknown (folding nightmare) - being that the cost is currently (2019) equal btwn the 2 options I had narrowed down to, I still think this was the better choice for us. Cons(1) Folding is HARD. it's not easy and it's also NOT COMPACT. and doesn't self stand (2) forward facing is a VERY SHORT seat (i.e. may not work for many older kids in strollers (3+) (3) basket is small and somewhat difficult to access...but I was aware/knew and okay with when purchased. (4) no cup holder (parent or child) (5) I wouldnt expect this of ANY umbrella stroller but worth noting that handlebars are NOT adjustable. it does comfortably fit many people though ranging from 5'3" - 6'3", without having to stoop. This stroller I ordered is really great for my kid. Very light and easy controllable. The stroller is good and fit my son that have a big and tall body. But it is so hard for us to open and close it. GOOD STROLLER, BUT THE WHEELS ARE VERY SMALL AND RIGID. VERY DIFFICULT TO MANEUVER! GOOD MATERIAL. I DO NOT RECOMMEND IT IN IRREGULAR TERRAINS. I was looking for a compact easy to use stroller for my 6 month old boy. This one is a winner! I haven�€™t messed with this too much but it seems like a durable stroller which is what we were concerned about when buying one. My daughter is already 18mo so the two sets of straps and ability to reverse really does nothing for us but I am sure it would have come in handy for a smaller baby. ConsA little bulky because of the two sets of straps and two footrests. I bought baby jogger vue lite stroller and its perfect but not only the stroller also the price, fast service and shipping from Albee baby thank you ! I wavered about buying this because it�€™s discontinued so I figured it was lacking. Nope! This is a great stroller. Other reviews give a lot of info, only thing I couldn�€™t find was this- yes! You can fold it with the seat reversed! Woohoo. The stroller is very light. It's easy for moms when they hangout with friends. It's my spare stroller, especially for traveling, because the weight is light. I usually change the seat pad for my little son when he wants to nap. But the storage room is not big enough. We have been using Baby Jogger City Select and this is a nice option when we don't need the bigger option. It's easy to manage and works well for our toddler. I have a 2 year old and was done with lugging around the big fancy stroller. I just needed something easy to toss in the trunk and that she could hop in and out of as she got tired. This stroller has a nice little area to stash your purse and things. The seat changes directions and has a huge canopy. Just what I was looking for. I purchased this stroller a year ago for my daughter. It�€™s handeling and ease of use was amazing! Folds, and switches front or rear facing with ease! She moves to Texas and I purchased a second one for my other daughter. You won�€™t be disappointed! I have used many strollers and they were all complicated in folding and switching seat positions. This one is by far the easiest and is holds up well! We bought the Baby Jogger so we would have a stroller when he was at our house. Decided on this stroller based on the price and it�€™s versatility. The ability to switch the seat from forward to backwards will be a great feature once our grandson gets a little older. Overall the function of the stroller is pretty good. It is a little difficult to fold vs. unfolding, but overall functionality is good. ProsBeing able to switch the seat forward and backwards is a plus! ConsWhen I went to register the stroller I discovered it was manufactured in 2015. Their recommended useful life of the stroller is 2020 or 2021. Am I supposed to just throw it away in two years? I love the stroller. My only complaint is not enough storage. Great stroller but the only con is the break. It seems hard to undo once its been activated. I'm unsure if it just needs time to break it in or it was made that way. Other than that it is a great stroller. Good stable body, light enough to carry, and love the switching to both sides! I love this great find. Really excited to have it be able face both ways and be light enough to be quickly thrown into the car. Purchased for my 3'2", 32lb, 4 year old for some trips this summer. It's basically a better quality umbrella stroller and fits him well. We love the weight limit. Doesn't fold up all that flat, but still more compact than most. Rolls easy and smooth. Yes, the under storage basket is small like others mentioned, but would still fit a smaller bag or diapers and wipes. Nice that it has velcro access to storage in the front under child's feet. Also, if you're using forward facing and don't need to lay the seat down there is plenty of room for a bag between the rear seat position and foot rest that flips up and down. Only con is the locking mechanism when stroller is folded seems ineffective. Love this stroller. Got for when my grandson comes to visit. Compact and gives options for baby to face toward you as a baby then allows toddler to look forward as he gets older by just flipping the seat. My kids have a big stroller that is great but loved mine so much for the compact and light weight that I got them one for quick trips. They love it. ConsI have trouble closing it up...only due to arthritis issues but my kids have no problems using it. This is exactly what I was looking for in a stroller. Its lightweight (weighs only 15 lbs) and folds up easily and quickly. You can adjust the seat so baby faces you or gets to see where you are going and it adjusts from upright to reclining. The canopy is large so baby is protected from the sun. The wheels can rotate in all directions but can also be locked in a forward position. I highly recommend this stroller. We purchased the stroller to travel with through airports and in Disneyland. It was easy to do both - gate checking the stroller was easy, especially with the quick fold. We were able to navigate the different surfaces of Disneyland with ease, and the reversible seat, which allowed our toddler to nap nearly fully reclined, was a plus. 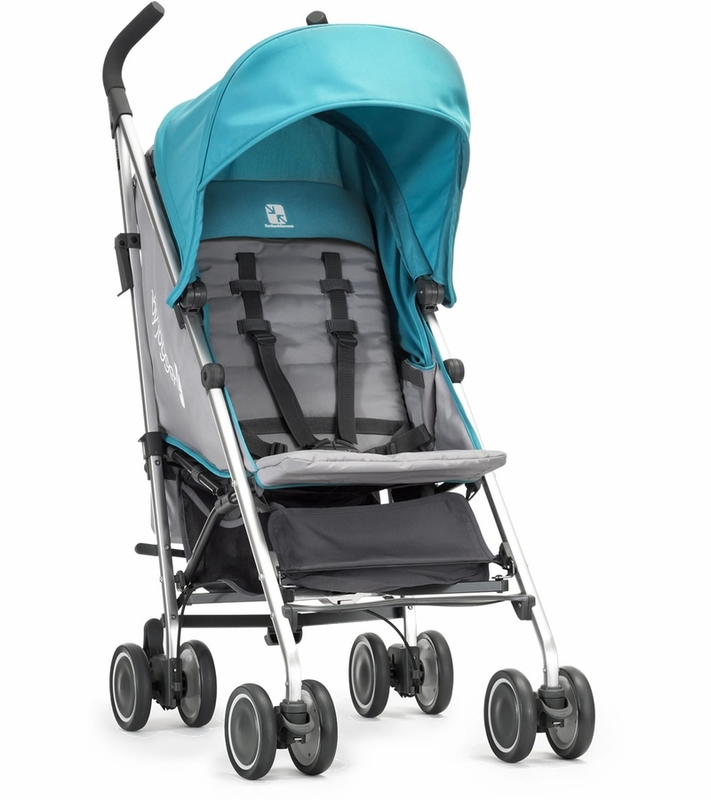 Storage is ample for a stroller of this type, and the handles make it comfortable to steer. We were looking for a compact stroller for our 2month and this did for it. Of course there are many products better than this, however in cost wise the baby jogger vue lite would be very good solution with the features. Love the color, easy to push. The only problem is the basket is so small doesn't really fit anything. Also at first had a hard time closing just make sure the seat is pushed forward when closing. I love that it can be forward as well as parent facing. It's amazing for when my daughter wants to still interact with me or my mom. It was so worth the price! She seems to love it as well. It reclines nicely too. Perfect for naps at the mall or around the block. I would buy this stroller again in a heartbeat! ConsSmall basket. It's kinda heavy. Very good quality for this price. Comfortable for babies' sleeping. Love this stroller! I got it for the reversible seating and the weight limit. I have a 40 pound toddler and a 10 month old and I can use it for either one! I bought this stroller over a year ago to be my travel stroller as I was tired of putting my big stroller in and out of the car. Big mistake...I barely use it and still lug the big stroller 9 out 10 times anyways. My biggest complaint is that it is not easy to fold and I ended breaking the clip that holds it together when collapsed out of frustration (by accident) when trying to get it in my car. Second frustration is the canopy...it is all bent and wonky from when it is collapsed. When I open it the canopy is bent and floppy. Still does the job but looks ridiculous. Lastly, no matter what I tried my 1 year old would slide down in the seat. Never had that problem in other strollers. I would not buy it again and pretty disappointed considering the price tag. Only thing I like is the height as we are tall people. Good stroller for traveling. Doesn't fold as flat as I was hoping. Worked well on our recent trip. I bought this stroller last month and it's so good but need more space for diperbag to hold stuff.. I purchased this stroller 3 years ago. I did a lot of research and what sold me was the reverse seat feature. This stroller has been a nightmare. The reverse feature is awkward because the distance between the two handle bars is tight which makes it difficult to put baby in and take out. The seat never stays in place. It would always recline back. The worse part is closing and opening the stroller. It is very difficult. It takes several tries to fold the stroller. Some days I'd just put the stroller as is because it wouldn't close. The handle bar completely broke off after trying to fold the stroller. Unfortunately the warranty has expired. I really wish I would of addressed the issues sooner. Hopefully the current model is better. Test the product first before you purchase this stroller. 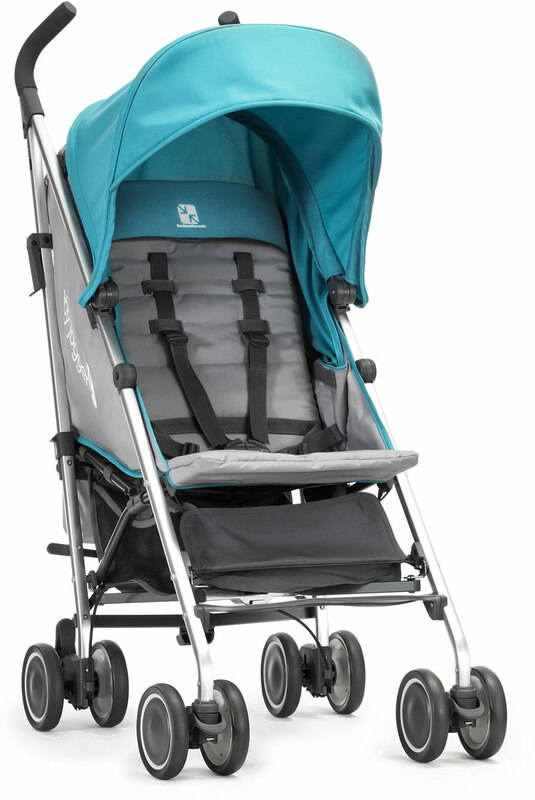 The stroller is very durable and it's high-quality - we really like going for long walks and we walk frequently and it is held up nicely for all of the walking we've done. I would highly recommend the stroller if you want a smooth and comfortable ride for you and your child. The canopy has really nice coverage. The storage basket is a decent size, nothing too big. I'm very happy with it overall. I bought this about a year ago at target when it was offered as a stroller+car seat combo (babyjogger Vue lite travel system). Although we had to send back the car seat due to recall which we would have liked a voucher for the new city go, we were able to keep the stroller. I loved that the carseat attached to the stroller! It was a versatile option for us as baby grew. Both were very comfortable for our son and lightweight! Our son was comfortable sleeping in the stroller facing us and as he grew we had the option of facing him forward. I never had to worry about sunburn as the canopy is extremely big offering lots of coverage! 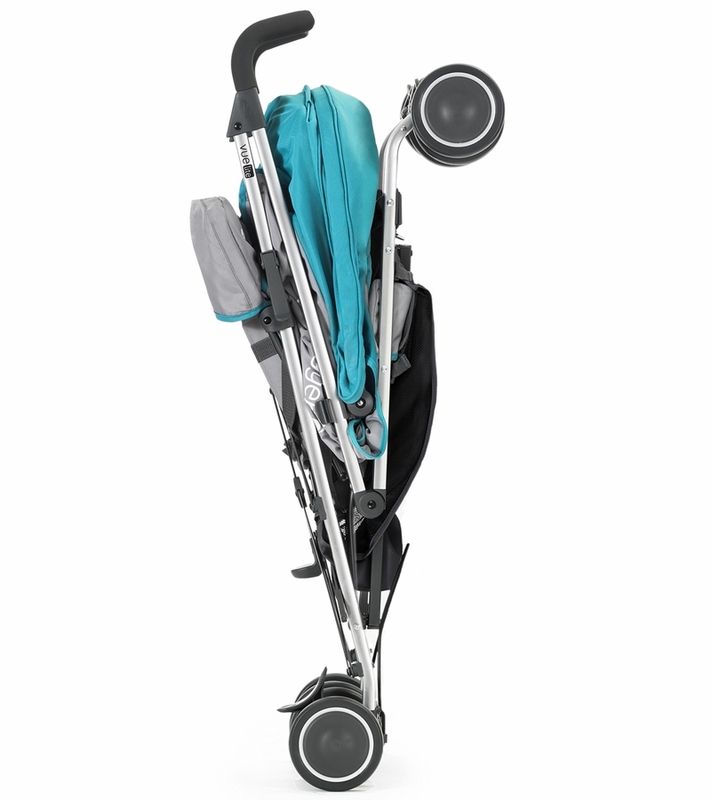 The stroller is narrow, easy to maneuver and very lightweight. I definitely reccomend this stroller! Love the reversible seat feature! I was in need of replacing my old umbrella stroller I used with my first born son. 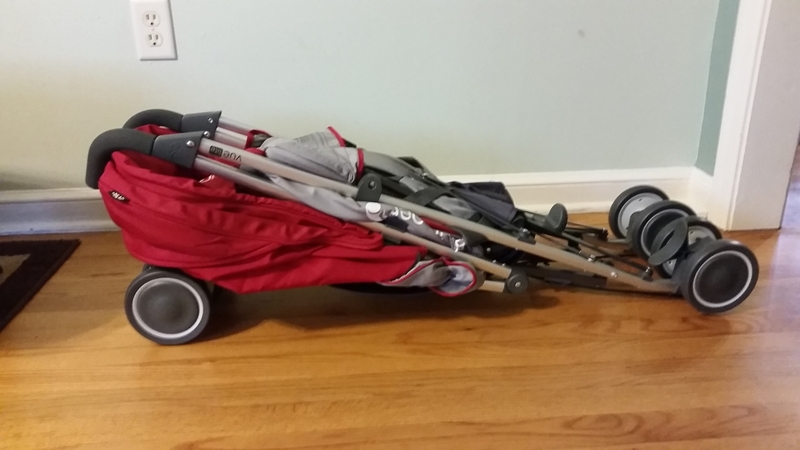 Since my 2nd son loved his pram so much, the reversible feature on the Vue Lite is perfect. He now is too big to fit the pram I used on another baby jogger stroller but if Vue lite is placed in parent facing mode with full recline it's almost like his pram ride. I plan on using parent facing until he is 1 year old. Easy to switch from forward to parent facing. I love the umbrella fold feature, very compact and doesn't take up so much room in my trunk. I drive of sedan for reference. Heavier than a typical cheap umbrella stroller but about 50% less weight then my stroller. I use it when I have a quick errand to run and don't want to lug the heavier stroller. Good for shopping mall use and indoor use and great for light outdoor with level smooth surface like sidewalks or blacktop. Cup holder good to hold baby sipper or a standard water bottle. Basket on the bottom is small, but will hold a diaper changing kit or some small baby toys easily. However need to access the basket via the side and not rear of the stroller. The zippers allow for easy loading of items into the basket. Love this "high end" umbrella stroller. I have the Summit X3 and needed something smaller and lightweight for quick trips and shopping trips. I wanted something that would parent face for naps and to avoid the sun, but also have the option for my toddler to see the world around her. Here's what I love: it is light, easy to swap from parent to world facing, can be pushed by my husband and me comfortably (he is 5'11 and I am 5'1), and my daughter sleeps in it. The only strollers she will nap in have the Baby Jogger logo on it. Any other stroller, she fights to get out of. Its fairly easy to push with one hand. The only thing I don't like, is the basket. The dual seat covers the basket and makes it hard to go through it when a 30 pound child is sitting in either side of the seat. 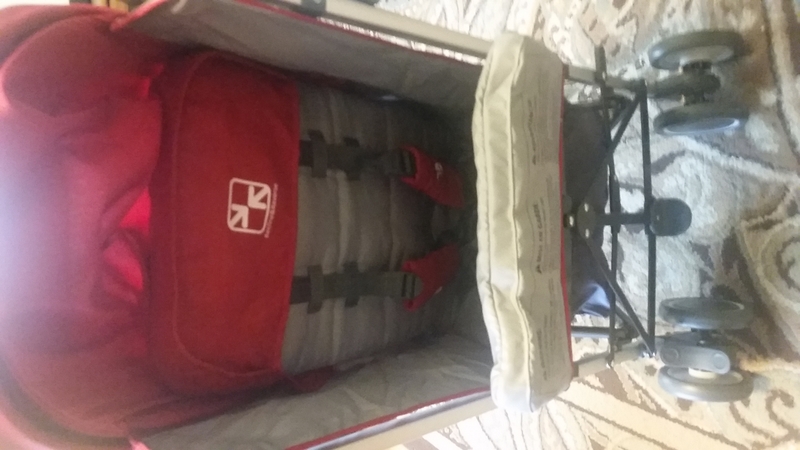 I haven't used it much instead, I bought stroller bags to make storing stuff easier for me. I would recommend this stroller to anyone whom will be around children under 6. Can be used from newborn and up. The vuelite was perhaps the single most frustrating part of my first months of parenthood. I wish I could turn back time and go with another stroller. Right from the start, the system failed us. The car seat bases were sold out and no longer made by the time we decided to buy another base. Luckily, the taxi strap function works sort of well, negating the need for another base. Then, before baby arrived, we ordered the car seat adapter, which was unnecessary, as the stroller came with an adapter for the BJ car seat (not mentioned in the info). We returned the adapter. For a daily use stroller, if you only walk a few blocks and never ever EVER have to fold up the stroller, then it's a fine bare-bones stroller. But don't be fooled. This thing DOES NOT FOLD EASILY. The braking mechanism constantly becomes entangled in the foot release. You have to bend over, manually release the foot lever, pick up the stroller, place it on its side, and force it together, fight with the carrier adapters (which will definitely fall off and skid across the parking lot), all the while hoping that the seat doesn't become stuck in the up position--because then you're going to strong-arm that thing into submission. After enacting this scenario in parking lots in freezing temps, I broke the adjustable seat, which will now not hold my 15 lb baby upright. In the trash it will go after she's out of her carrier. 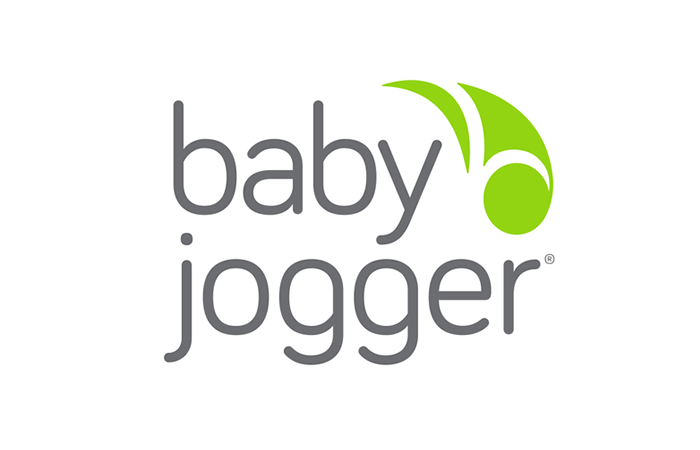 I'm sure Baby Jogger has some nice models that I could try, but this whole experience has soured me for the company. Nice umbrella stroller with a twist! Good storage, light, compact - what's not to love?! Great stroller! Small, lightweight, stylish, comfortable! Just purchased it for my 5 month old. ProsSuper easy to assemble! Just snap on wheels and canopy and off you go! Canopy extends and does a great job of blocking off the sun. It's probably the smallest lightweight stroller that is reversible (making it good for newborn +). Nice size basket. ConsNo cons as far as I'm concerned! Just wish it came with a rain cover! I bought this about a month ago. 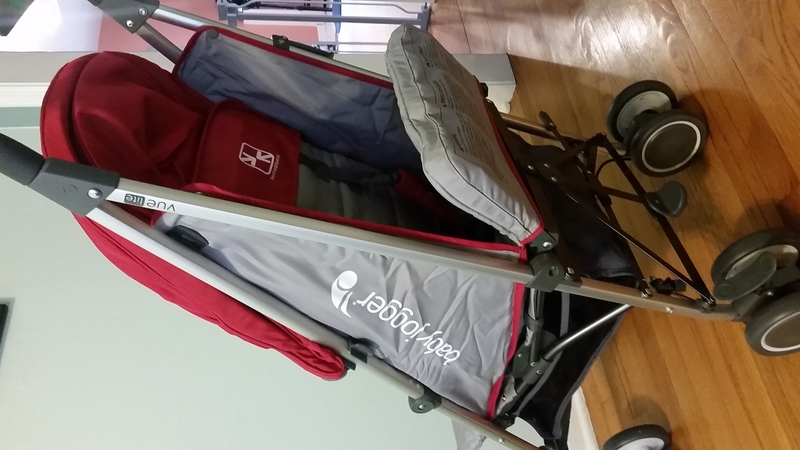 It is a lightweight stroller with a reversible seat. I have a six month old that needed to lay flat in the stroller for naps, look at me as we cruise around, and I need to lug my stroller up stairs, into the trunk of my car, onto the bus, and around the city I live in. This stroller is very good for the price. The wheels are sturdy enough to get around the messy sidewalks in my city, and the stroller is narrow enough to go in stores and restaurants. Although it is not a sturdy, heavy travel system, it gets the job done. The one down side is that it is so narrow a larger person would have a hard time getting their baby in and out.